This entry was posted on February 20, 2012. Bookmark the permalink. 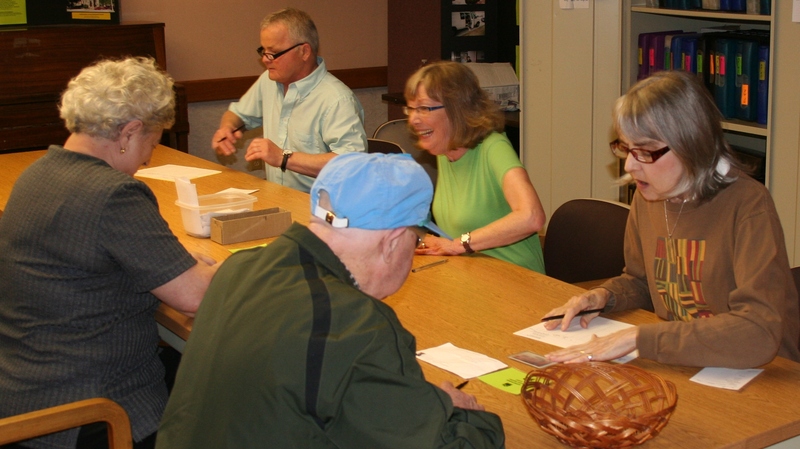 Volunteers (right) signing in guests before they select their food items at the pantry. Interchange wouldn’t be known for serving its guests respectfully and connecting them with the high-quality food they need without its exceptional volunteers. They help prepare the pantry hours before guests arrive or load bags for senior deliveries. They help with intake and as guests select their items for each visit. Shifts as short as two or three hours on one of our days of operation can make the difference for Interchange and its clients. Read about days and times that may work for you! The Interchange Food Pantry is located in the lower-level of Village Church at the corner of Juneau Ave. and Edison St. in Milwaukee.